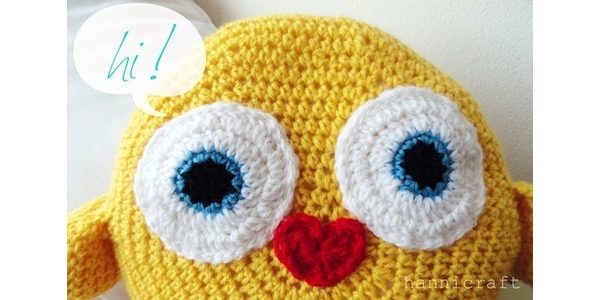 How adorable is this crocheted chick? 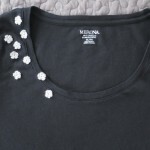 It was designed by Hanni over at Hannicraft who really has been doing some great patterns. This guy looks like the perfect size for little ones to hug and would be great for filling an Easter basket. She is selling the pattern on Ravelry for just $3.50. 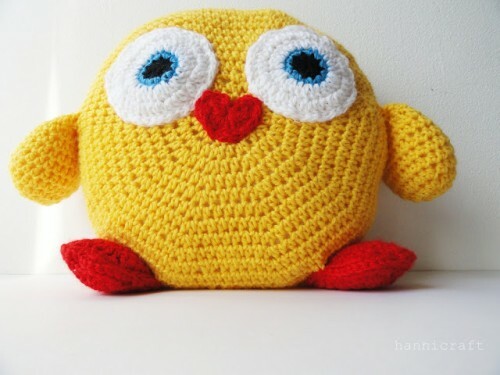 But this week she is also holding a giveaway where you can will the pattern. This pattern looks like just the thing for someone like me who is looking to move on from just granny squares. 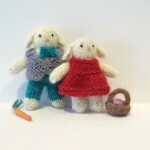 6 years ago by Kat in Crochet , Easter , Holiday , Needlecraft | You can follow any responses to this entry through the RSS feed. You can leave a response, or trackback from your own site. Hi Kat! Thank you so much for featuring my pattern and the giveaway!